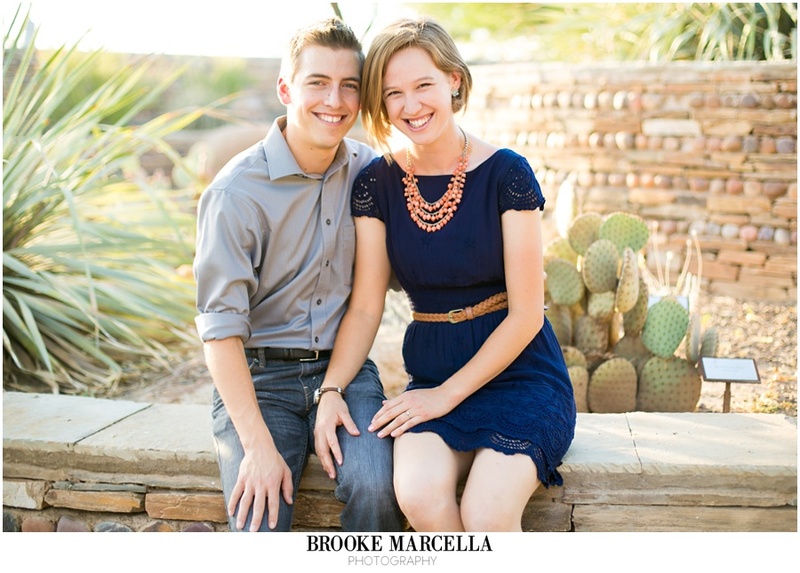 Another beautiful Scottsdale engagement session today on the blog :) I met some amazing people while I was going to school at ASU and these two were among that group. I met these two while working in the dorms and quickly found that they are some of the sweetest people you will ever meet! Brianna is an animal lover to the core and is constantly donating her time at various shelters and fostering pets...how cool?! Jacob is one of the hardest workers I know and is always busy doing something! I couldn't have been happier to take their Scottsdale engagement photos at Xeriscape Garden in Chaparral Park and catch up with them...and meet their new addition Remmy (which they adopted from the shelter) who is the cutest thing ever!